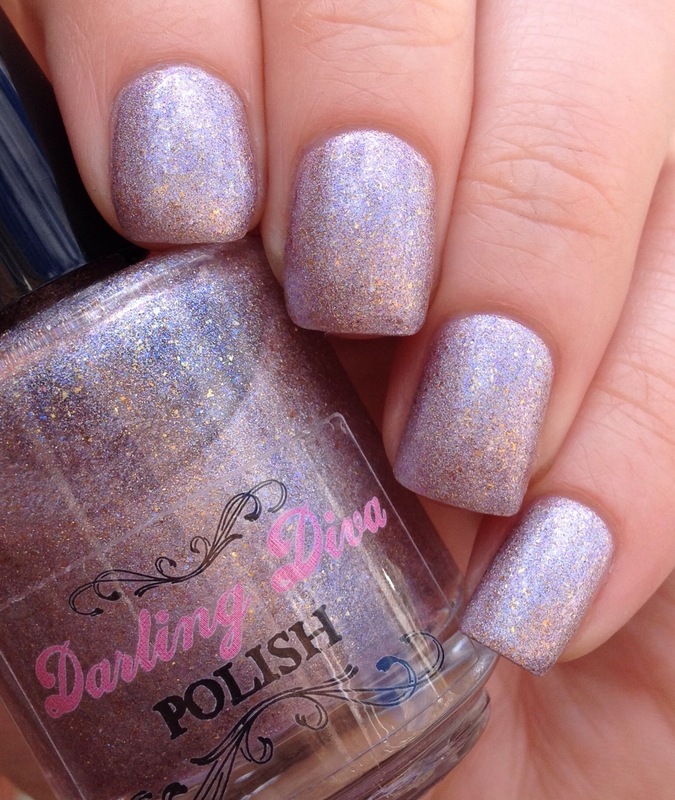 Darling Diva’s “FIA” had everything I like most in a polish all jammed into one magnificent color. Holo? Check. Shimmer? Check? Flakies? Check check check. 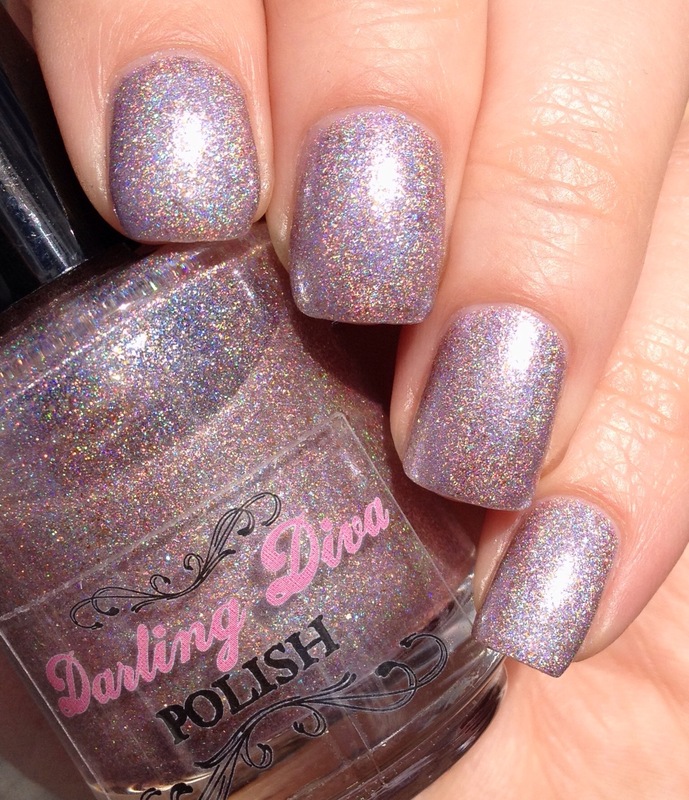 The pale pink, almost silvery, holo-shimmer-flakiness of FIA is perfect. The color is subtle enough to pull off in a conservative office, but it is packed full of wonderful surprises. These first two photos are in the shade, which shows off the gold and iridescent flakies, as well as the underlying shimmer. The second two photos are in the sun, where the holo comes to life. This is three coats and top coat, although two coats would have been perfectly fine. With a light color like this, I was really surprised and impressed with the opacity here. I also like how this dries down a bit matte between coats- it gives me the sense that it is really drive before I move on to the next layer. Wear on this was pretty impressive (it made it through a rough ultimate frisbee game…much better than the rest of me actually). FIA is part of the “Ladies of a Certain Age” Collection, all of which have lovely combos of holos and flakies in light, delicate colors. You can find the on Darling Diva’s website, or any number of other retailers (including Llarowe, where it leaped into my cart mysteriously during a sale). On warning though: upon removal, I discovered that this color did stain my nails a rather bright pink. This may just be a reaction with my base coat (Orly Bonder) or my particular chemistry. Thought you might all appreciate the fair warning. Still though, the color is so gorgeous that I plan to keep wearing it in the future, stains or no.